His Airness has arrived! The most recognizable basketball player in the world just needs a comfortable shelf to rest his weary feet! 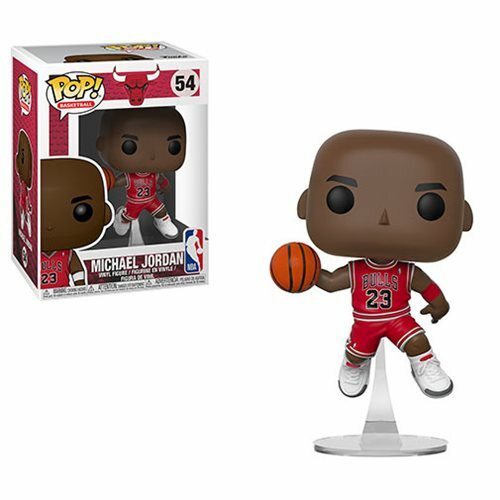 This NBA Bulls Michael Jordan Pop! Vinyl Figure #54 measures approximately 3 3/4-inches tall. Comes packaged in a window display box. Ages 3 and up.